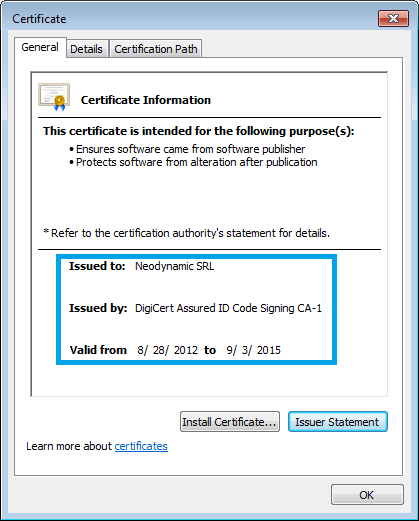 The installer package is digitally-signed with a Windows Authenticode Certificate issued by DigiCert, Inc. Install the package only if the Publisher is Neodynamic SRL; otherwise contact us. To keep you up to date about our product releases please subscribe to our newsletter.